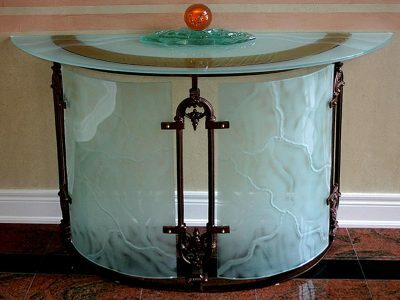 Glass bending is used to make products that require bending, such as: a glass base for a table, a “wave” shaped glass railing, etc. Basically any type of product that requires the glass to be bent in any form. 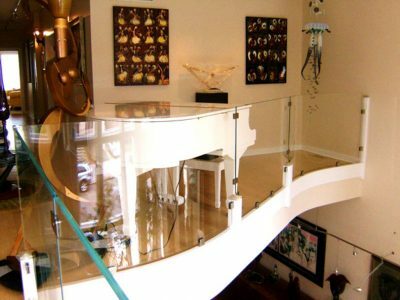 This technique has been previously used for some of our products, as can be seen in examples, for railings, glass pedestals, glass tables, etc. 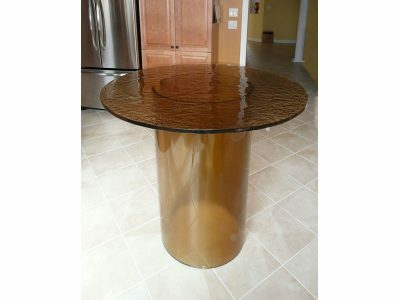 To produce the bent glass, it is slowly heated until it is easy to maneuver it to embrace the shape of the correct mold.